All products in EasyCart are allowed up to 5 images per product. To use, simply click the ‘Upload Image’ button, and use wordpress’s image library to save and store your images. 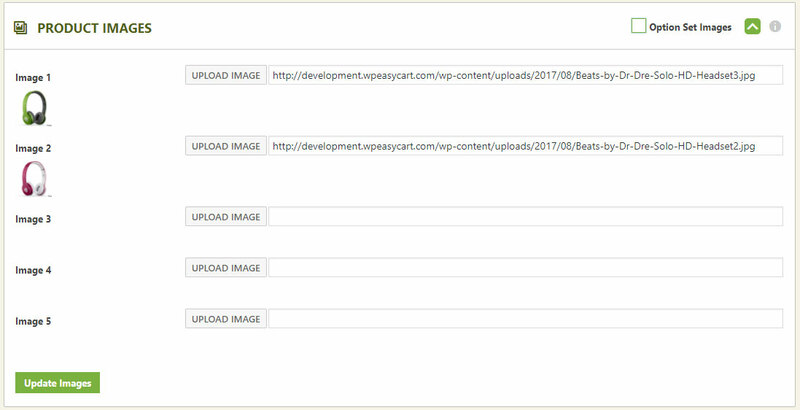 Note: If you are upgrading EasyCart from an older version, you may see older image names and not full url paths. Moving forward, if you upload images, they will be saved into the WordPress library. EasyCart also allows the use of option item images. The system leverages whatever ‘basic’ option sets you have selected in the ‘Option 1’ position. 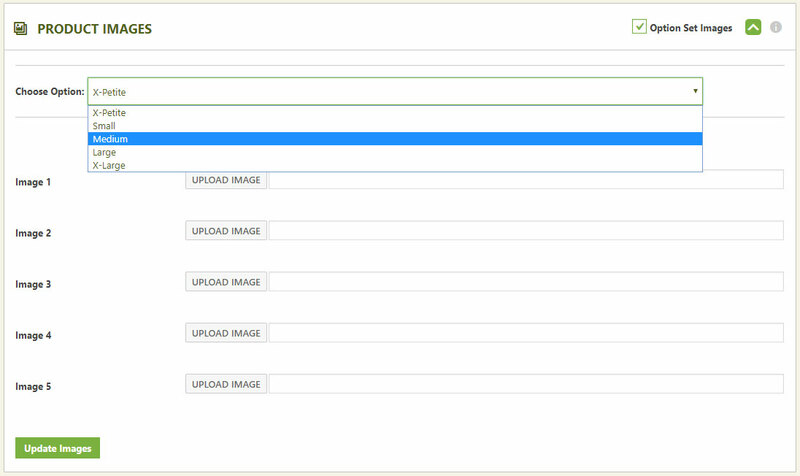 For Example, if you setup a product with Option 1 as ‘shirt sizes’, then you will see those option choices here. If you setup Option 1 with ‘shirt color’ then you will see those options choices here. To utilize the system, check the ‘Option Set Images’ and select an option from the pulldown, and upload up to 5 images per option. What the customer experiences is all the product images switch out when an option is selected. For example, if you have Option 1 as ‘shirt color’ and the user changes colors from blue to green, all the product images would swap out to the green shirt images.